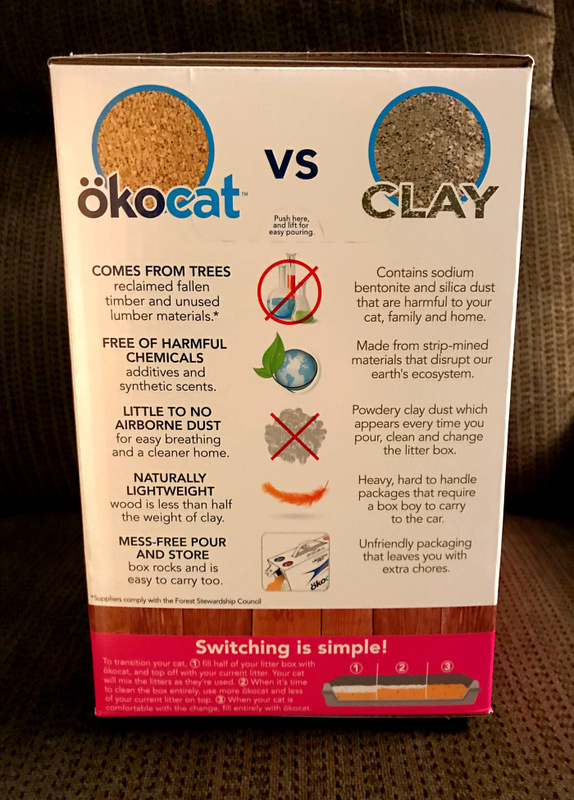 With the upcoming Holidays I will be having friends and family over for a Christmas party, and I want to make sure that my house stays smelling fresh during the holidays, so I am using ökocat natural and Eco-Friendly cat litter by Healthy Pet. I don’t like it when my house has that litter box smell, so this solved my problem. This litter smells like I am surrounded by fresh smelling trees. I was really impressed on how quickly it whisked away the wetness right after my cat used the box, and it does not have that clay dust that gets everywhere like other litters. I feel really good using this for my cat, knowing that it is natural for her and won’t do any harm to my cat. This is an excellent choice to use for all your litter box needs. All litter blends are made from reclaimed, sustainable wood and paper without any harmful chemicals or added scents. The natural capillary structure of wood that helps protect trees in their natural environment, works the same way to repress odors in ökocat’s litter – This makes it a great litter for the holidays when you’re traveling or inviting friends and family into your home. ökocat litters last longer than clay which means less time and effort and less money spent on litter. Clay litter still accounts for more than five billion pounds of mined clay annually and is not sustainable. Because it’s not biodegradable, it clogs up landfills, a situation that causes much environmental concern. ökocat litters are made from reclaimed wood and paper. 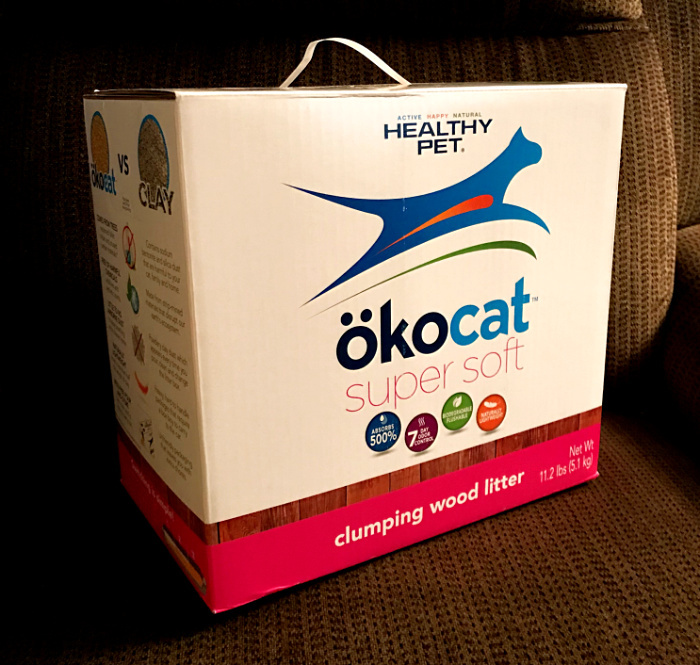 ökocat litter still delivers all the performance and features cat parents want most like superior odor control, very little dust, easy clean-up because it absorbs so well and lightweight for easy carrying and pouring. ökocat, a Healthy Pet® brand, is the next generation of natural cat litter. 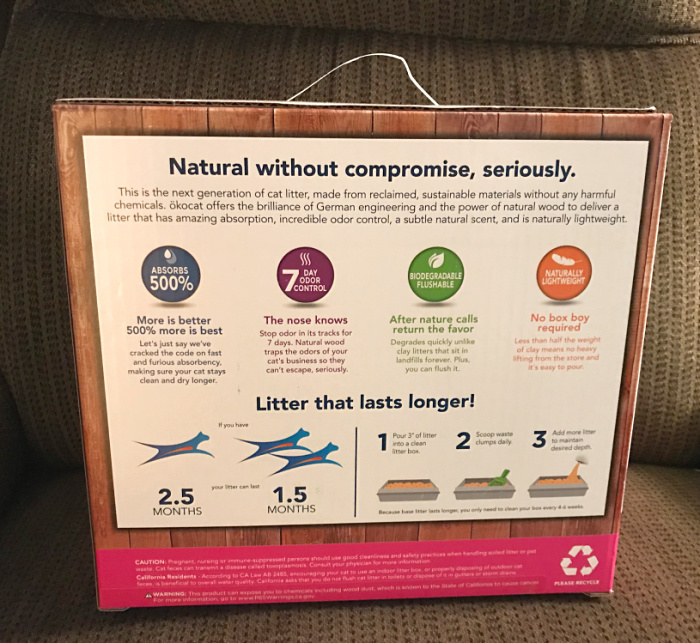 All litter blends are made from reclaimed, sustainable wood and paper without any harmful chemicals or added scents. ökocat offers the brilliance of German engineering and the power of natural fiber to deliver litters with incredible odor control, amazing absorption, a subtle natural scent and are all naturally lightweight. No compromises needed when going green. You can purchase ökocat at your local pet store. I like that this is all natural from wood. I’m not a fan of clay litters so this sounds like a great alternative.